Larger than the state of Massachusetts, the San Luis Valley is one of Colorado’s most impressive landscapes, with massive sand dunes, nine 14,000-foot peaks ringing its edge and the historic Rio Grande pulsing through its heart. Colorado's Los Caminos Antiguos Scenic Byway explores the wide and flat expanse of the valley floor that served as a gateway into Colorado for Spanish explorers arriving from the south. As a result, the state’s oldest communities can be found here. Start your tour in Alamosa, a tightly knit community of 8,000, and the central crossroads of commerce and travel in the valley. 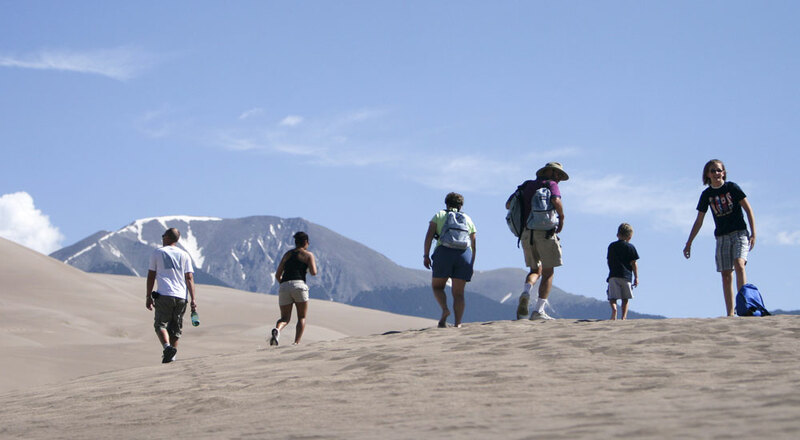 Stop by the Great Sand Dunes National Park and Preserve for a mystifying sight. Pale in color by day and gold by dusk, the dunes’ towering majesty has long captivated visitors. Visit Fort Garland, a preserved military outpost that functioned in the valley from 1858 to 1883. An exhibit entitled “Buffalo Soldiers West” explores the role of African-American soldiers in the expansion of the West, and the Plains Indian Wars of the late 1800s. After Fort Garland, head to San Luis, which was established in 1851 and is Colorado’s longest continuously occupied settlement. Get out of the car and board the Cumbres & Toltec Scenic Railroad in Antonito, an authentic original of the narrow-gauge railroad era. Finish your route atop beautiful La Manga Pass, whose aspen-shaded reaches offer a magnificent conclusion to your tour. Want More? 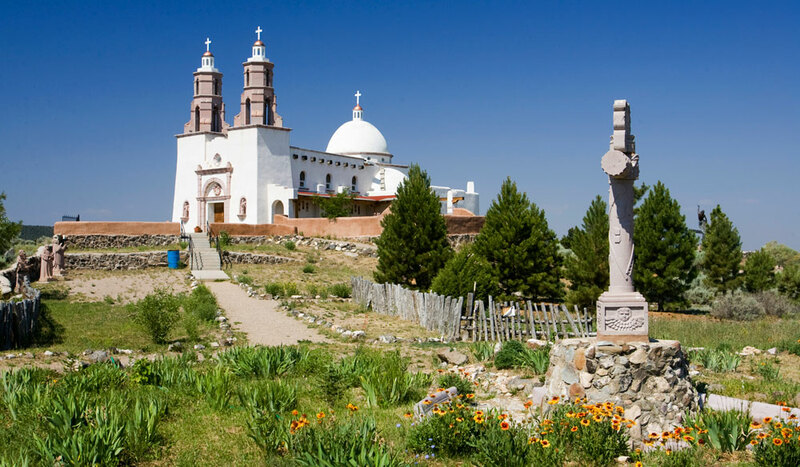 Check out this two-day San Luis Valley itinerary and San Luis Valley Heritage. 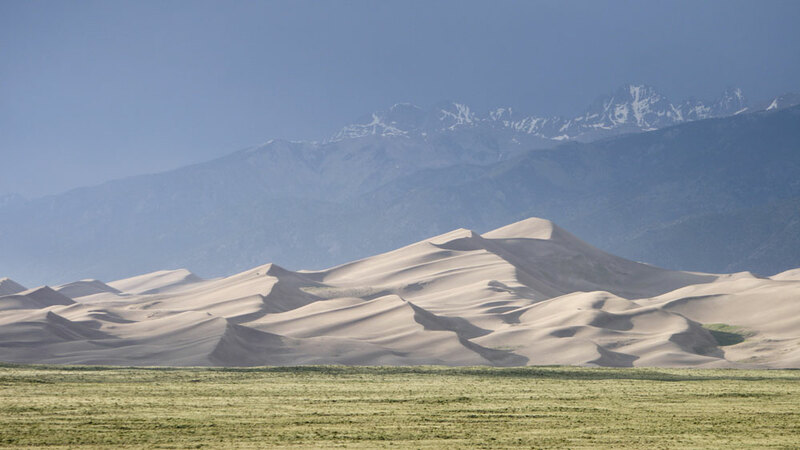 Photos: Great Sand Dunes National Park and Preserve near Alamosa; the Shrine of the Stations of the Cross in San Luis, Colorado; Great Sand Dunes National Park and Preserve.